Add all ingredients to a jar and stir until incorporated. Store jar, sealed tight, for at least a week before consuming so flavours can infuse into the honey. 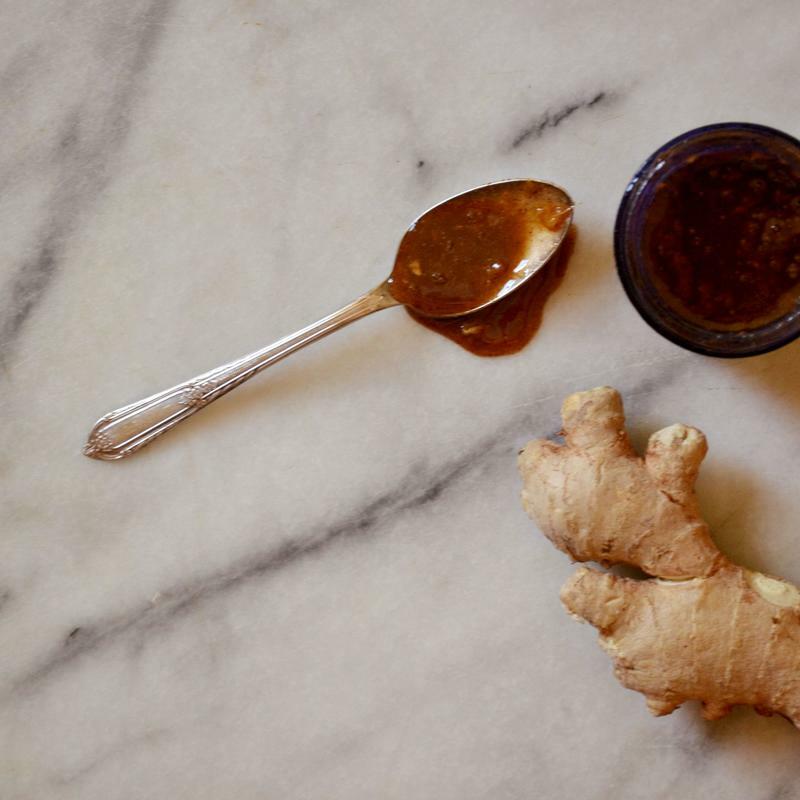 Serve by adding a teaspoon to hot teas, soups, or just straight into the mouth as an immune syrup!